Located between the domestic and the public sphere, Al-Madafeh is in Arabic the living room, the room dedicated to hospitality. It is that part of the private house that has the potentiality to subvert the role of guest and host and to give different political and social meaning to the act of hospitality. The living room opens itself to host the guest, the foreigner, the outsider and functions as a representational space between the domestic and the public. In a foreign country, access to public space is a challenge for refugees as they are expected to constantly perform the role of the “perfect guest” in order to be accepted. Turning private spaces, such as the living room, into social and political arenas, is often a response to this limitation of political agency in the public realm. In the Arab world, the living room is a space that is constantly maintained and always ready with fruit, nuts and black coffee for the unexpected guest, who may knock on the door anytime during the day. Even in refugee camps, where space is extremely scarce, the living room remains the most important part of the house. In the absence of the State, the living room represents an available social and political space regardless of the general precarious conditions. Paradoxically, it may be the room that is used the least, yet it is the most symbolic, curated and cared for area of the house. Sandi Hilal has developed together with Alessandro Petti a research-project based artistic practice that is both theoretically ambitious and practically engaged in the struggle for justice and equality. They founded Campus in Camps, an experimental educational program hosted in Dheisheh Refugee Camp in Bethlehem with the aims to overcome conventional educational structures by creating a space for critical and grounded knowledge production connected to greater transformations and the democratization of society. Camus in Camps has today offshoot in other Palestinian camps and is linked in a consortium with universities around the world. – www.campusincamps.ps – In 2007 with Eyal Weizman they founded DAAR (Decolonizing Architecture Art Residency) in Beit Sahour, Palestine, with the aim to combine an architectural studio and an art residency able to gathered together architects, artists, activists, urbanists, film-makers, and curators to work collectively on the subjects of politics and architecture – www.decolonizing.ps. Hilal was the head of the Infrastructure and Camp Improvement Program in the West Bank at UNRWA (United Nations Relief and Works Agency for Palestine Refugees in the Near East) from 2008 to 2014. 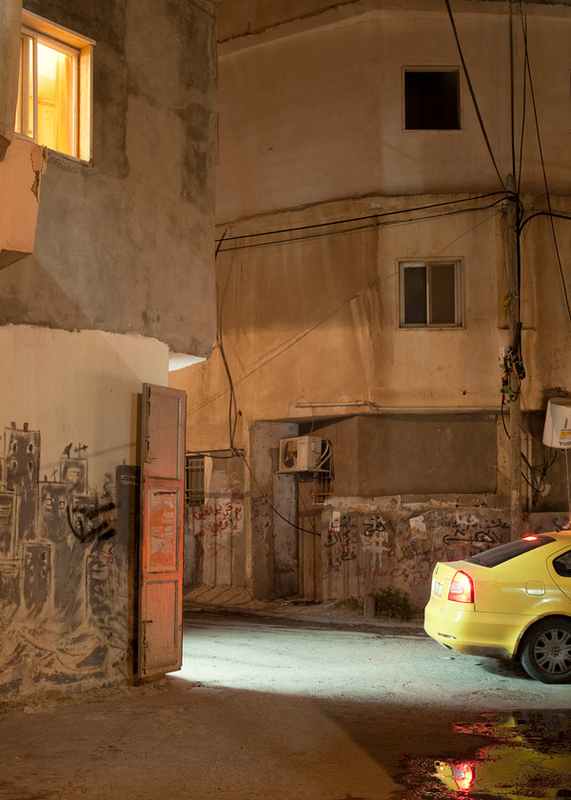 Hilal co-authored with Alessandro Petti and Eyal Weizman the book Architecture after Revolution (Sternberg, Berlin 2014) an invitation to rethink today’s struggles for justice and equality not only from the historical perspective of revolution, but also from that of a continued struggle for decolonization. The Keith Haring Fellowship in Art and Activism is made possible through a five year-grant from the Keith Haring Foundation. The Keith Haring Fellowship is a cross-disciplinary, annual, visiting Fellowship for a scholar, activist, or artist to teach and conduct research at both the Center for Curatorial Studies and the Human Rights Project at Bard College. The Keith Haring Fellowship in Art and Activism was established to allow a distinguished leader in the field to investigate the role of art as a catalyst for social change, linking the two programs and presenting original research in an annual lecture. The north is not only a geographical expression, it indicates often a power relation based on presumption of superiority. Despite violent border regimes and colonial processes on indigenous populations, northern European countries have scarcely dealt with their self-image of colonial powers. Is decolonization today a possible political project of liberation against this historical prejudice? What is at stake and how should we position ourselves within an imperative process of decolonization in relation to land and knowledge? In particular, how to de-align from the reproduction of oppressive structures and look instead to new alliances between native and migrants’ populations, and towards solidarity practices within art, discourse and immediate locality. Invited speakers: Achille Mbembe, Gurminder G. Bhambra, Gunilla Larsson, Encarnacion Guttierez-Rodriguez, Tone Olaf Nielsen, Ylva Habel, Patricia Lorenzoni and Stefan Helgesson. Decolonizing North is initiated by Konsthall C in collaboration with the Decolonizing Architecture advance course at Royal Institute of Art in Stockholm and the CEMFOR, Centre for Multidisciplinary Studies on Racism, Uppsala University. 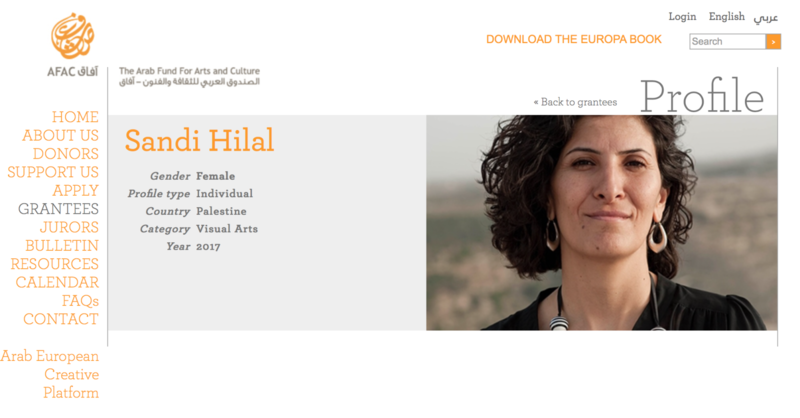 Sandi Hilal awarded “The Arab Fund for Arts and Culture” for the project of the “Living Room”. When hospitality is exclusive to the state and the public domain, then stateless people have no room for being reciprocal in the generous act of hospitality. The “Living Room” project aims to recognize the private space as an important social and political terrain for communities in exile. This gathering of the Parliament of Bodies will explore the genealogies, epistemologies, heritage, and knowledge produced within one of the most poignant and morbid legacies of the twentieth century, namely “refugee camps.” The century’s first refugees were survivors of the genocide of the Armenian populations living in the territory that would soon become the Republic of Turkey between 1915 and 1923. The Armenian genocide marked the emergence of international humanitarian relief to survivors, the establishment of camps, triage stations in neighboring countries, and the international media documenting the horrors of their experience in reports and photographs. The refugee camp invented a political regime without political rights and a visual regime of total exposure and dispossession. Throughout the past century, scholarship, theory, and policy have focused on citizenship and the nation state, while all other forms of community formation, economic and urban organization, as well as the fabric of social relations outside the paradigms of the state and citizenship are perceived as theoretically exceptional, pertaining to anthropology, ethnography, and humanitarian contingency. Established based on the principles of temporariness and impermanence, camps have prevailed for longer than half a century, and generations of their dwellers were born into the world carrying their identity as refugees, even if they had not themselves experienced the forced displacement that their parents or grandparents experienced. Over time, refugee camps become districts in cities, and refugees the denizens, indentured laborers, the “guest others” of a national economy. A hundred years after the Armenian genocide, the number of people who are identified as refugees has increased exponentially. Humanitarian organizations entrusted with their survival and destiny are so profoundly institutionalized that they have become normalized and commonplace, yet the perception of what camps represent remains “outside” the realms of useful knowledge, of ways of acting and being in the world. This forum, within the Parliament of Bodies, proposes to reverse the paradigms and explore refugee camps and being a refugee in the world as central, rather than epiphenomenal, exceptional, or temporary notions. From Beirut to Calais, from Lesbos to Zaatari, we invite architects, urban planners, theorists, filmmakers, artists, writers, and activists to reflect on the knowledge accumulated and transmitted from life in the camps, the myriad histories of acting, building, resisting, and negotiating power and authority; producing community, space, and temporality. The legacy of a century of refugee camps constitutes fertile terrain to interrogate the normative paradigms of nation state and citizenship and reevaluate different cosmogonies for the organization of society, relations of authority and power, as well as production of economy, space and time. Humanitarian organizations deprive refugees of their political existence by treating them as bodies to be fed and sheltered. Humanitarian law refers to “protected people,” but current humanitarian practices either focus on “victims” or, to appear more positive, they refer to them as “survivors.” By classifying people as victims or even as survivors, the basis of humanitarian action is shifted from rights to welfare. In disaster areas—spaces of exception—values of generosity and pragmatism obscure the rights and responsibilities of refugees that would endow them with their own agency. I would like to think the Refugee Heritage proposal in relation to the Shimelba refugee camp: a constructed environment that calls into question the relationship between history and heritage from the temporal vantages of mobility and immobility and concomitant lifeworlds of going and staying. Located on the border of Eritrea some two hundred kilometers from the ruins of the city of Aksum, the seat of an ancient kingdom and a World Heritage site in the Tigray region of Ethiopia— a country that has successfully inscribed nine properties to the UNESCO World Heritage List—this camp meets none of the ten selection criteria for World Heritage. Or, thought differently, it fulfills them all. The camp is a vulnerable space. It is constituted by its thresholds and the exchanges that take place across it. It is a space of small economic initiatives and heterogenous commoning practices that subvert established concepts of heritage, urban, neighborhood and citizenship. It is thus something that should be not only physically protected but also institutionally valued. The documentation and archiving of temporary heritage, that which might not be recognized by a modernist approach to preservation, is therefore essential. Across the landscape of Palestinian displacement and throughout the seventy years of exile, refugee camps have been regular targets of state and militia violence. Israeli forces attacked the Bureij camp in Gaza in 1953, the Jenin camp in the West Bank in 2002, and destroyed the Nabatiyeh camp in Lebanon in 1974. They demolished large parts of camps in the Gaza Strip in the early 1970s. Jordanian forces engaged Palestinian guerillas in fighting in Wihdat and Jerash camps in 1970–71, causing significant damage. Syrian supported forces destroyed Tal al Zaatar camp in Beirut in 1976. Israeli supported Phalangists massacred thousands of refugees in the Sabra and Shatila camps in Beirut in 1982. The Lebanese army destroyed most of the Nahr el Bared camp in 2007. Nahr el Bared is being reconstructed, but many destroyed camps never were. The case made in the Refugee Heritage dossier that refugee camps are sites worthy of acknowledgment and preservation is strong. These histories of destruction confirm how many obstacles there are to their protection. Completing the nomination form of Dheisheh as a World Heritage Site was never truly the goal of Refugee Heritage. Rather, it has always been more about the failure of fulfilling this process. Failure, in this sense, is guaranteed, not only due to the pre-existing formats and institutional processes, but also because of political considerations both more widely and locally regarding the conception of camps as heritage. The failure exposed by Refugee Heritage is thus not of the form, but rather of the politics that brought camps into being for such a long time, and thus into the discourses of heritage, in the first place.